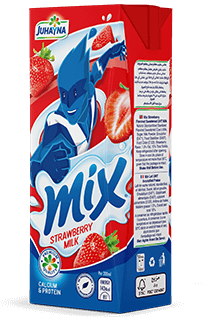 “Add a burst of flavor to your life” We have pioneered the flavored milk market with our Mix range which offers innovative products for kids, teens and adults providing them with a range of vitamins and minerals that come together in a premium blend of delicious taste. 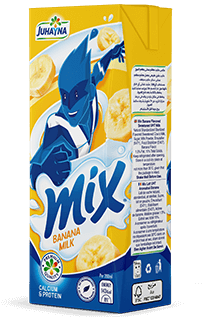 Mix range of flavored spoonable yoghurt comes in Banana. Combining the health benefits of plain yoghurt while adding a blend of various tastes, it is a delightfully healthier and guilt-free alternative to junk food. Mix range of flavored spoonable yoghurt comes in Strawberry. Combining the health benefits of plain yoghurt while adding a blend of various tastes, it is a delightfully healthier and guilt-free alternative to junk food. Mix range of flavored spoonable yoghurt comes in Chocolate. Combining the health benefits of plain yoghurt while adding a blend of various tastes, it is a delightfully healthier and guilt-free alternative to junk food.